Looking for a suitable venue to enjoy your birthday? Take your pick from our selection of bars for birthday parties in London. We've picked some marvellously stylish offerings guaranteeing a memorable night out for all. Before you arrange the party, consult our guide to bars for birthday parties in London. Neo is a stylish City bar which is ideal for after work drinks with sublime cocktails and a vibrant atmosphere. This is the perfect venue for birthday parties, corporate events and special occasions. 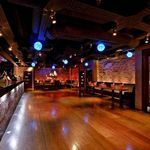 Undoubtedly one of the best bars in London to host your birthday party, Patch’s layout - along with its contemporary design - allows guests to have their own semi private area and benefit from the great party atmosphere with excellent DJ’s. The Blind Pig is ideal for a small and intimate birthday gathering, especially since the cocktails produced at this Soho speakeasy have the real wow factor. Eaton Square bar is a cocktail bar open on Hobart Place offering a great choice of cocktails and live entertainment in the evenings. This specialist karaoke bar is the perfect spot for a birthday sing-song. And since you can hire out private booths, Karaoke Box can cater for birthday parties with a difference. The main bar or back bar of this welcoming Holloway pub can both be hired for a lively birthday shindig. Simmons is located a stones throw from Camden Town station and offers a good selection of cocktails that are served in stylish surroundings. Offering much more than just food, Tiger Tiger aims to cater for all your partying needs. With funky music, a vibrant atmosphere and comfortable surroundings, Tiger Tiger is an excellent choice for those who enjoy a meal and partying afterwards. 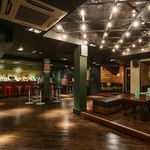 This bar and restaurant is ideal for private hire if you're looking to throw a party in Teddington.